Team #7071 EngiNerds won the ‘Winning Alliance Partner’ award at an Williamstown, NJ event in November 2016. EngiNerds are part of the SJ Robotics family. Click here to read more about the EngiNerds. In addition, the Facebook page for the EngiNerds is here. 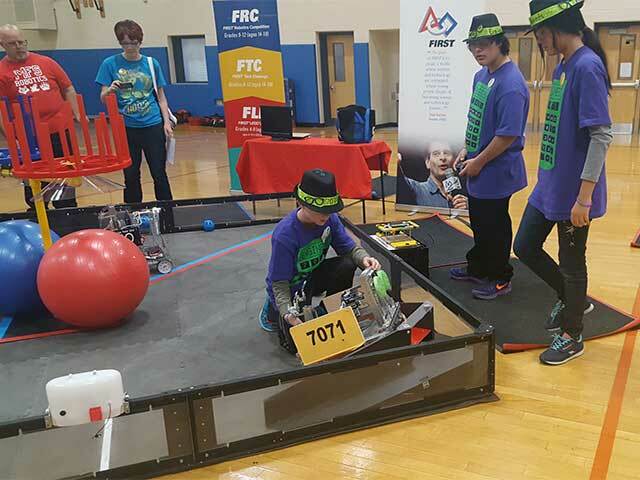 The EngiNerds is a FIRST Robotics FTC team that formed in the Bridgeton area as part of the South Jersey Robotics family of teams to promote STEM education in the greater Bridgeton area. Dean Kamen founded FIRST (For Inspiration and Recognition of Science and Technology) in 1989 to inspire young people’s interest and participation in science and technology. Read the vision and mission of FIRST here.